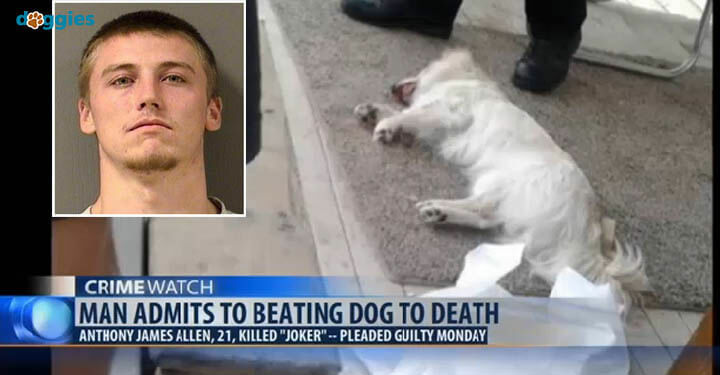 A Billings, Montana, man who admitted to killing dog; another family’s dog with a cane, will spend just four days in jail for his crime.The dog killer, identified as 21-year-old Anthony “A.J.” James Allen; killed a small, white mixed breed dog, “Joker” in an apparent fit of anger. The dog is a mixed breed including Pomeranian, Dachshund, and Beagle. Witnesses reported Allen “was yelling and cussing and had killed the dog,” court documents state. He hit “Joker” with a cane twice, then kicked it. Joker’s owners dispute the number of times, saying they were told Allen struck the dog as many as 20 times in the head and side. Joker was staying at Allen’s step mother’s house at the time of the incident. After killing the dog, Allen left the scene. Officers located Allen some time later where he admitted to police he kicked the dog and was informed Joker was dead. 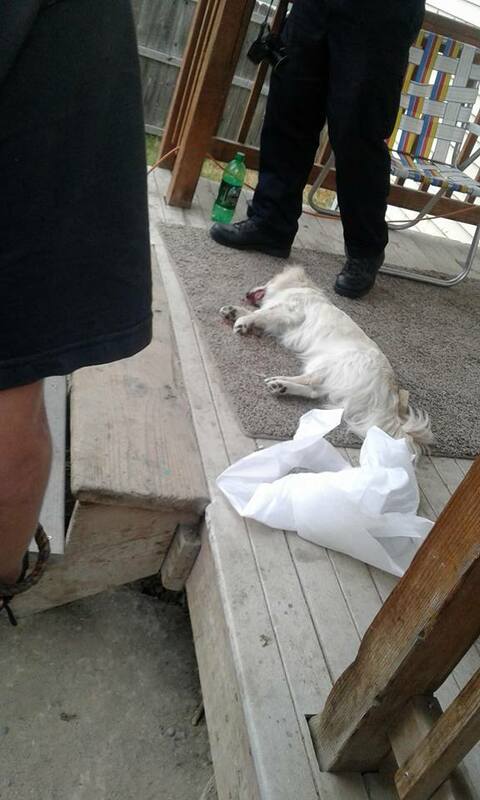 Individuals who have learned about Allen’s crime have expressed dismay and outrage that he faced only a misdemeanor charge and short jail time for killing a dog in such a brutal fashion. On Monday, Allen was sentenced to one year of anger management classes; $1000 restitution, four days in jail, and cannot be around animals.